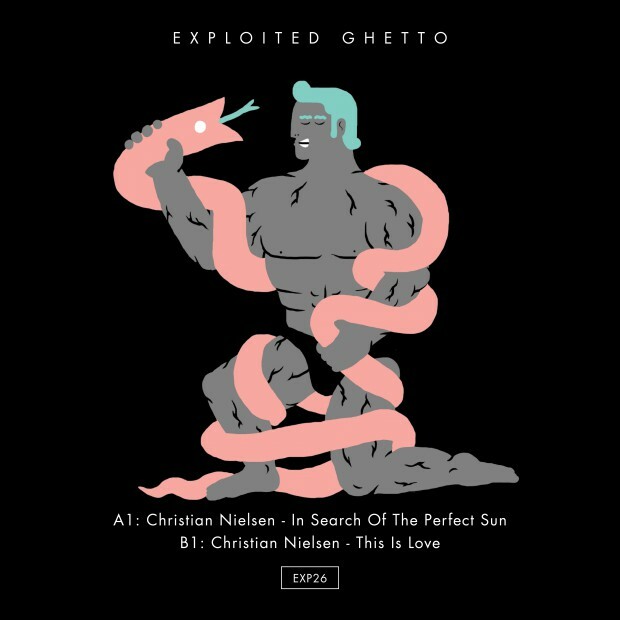 Danish DJ and producer Christian Nielsen is an artist who came out of nowhere. Working in an office by day and developing his musical craft by night. That said, his sound is a classic one, and one which has already made him popular – most notably on Gorge and Nick Curly’s 8BIT, Jesse Rose’s Play It Down, Skream’s Of Unsound Mind and lately on Speicher/Kompakt. Nielsen, however, is no flash in the pan, and is a producer who knows his way around the studio and has evolved musically studying legends like Kerri Chandler, Jimpster, Mr. V, Master At Work, Larry Heard, Moodymann and the late Frankie Knuckles. A firm advocate of dance-floor ready house, Nielsen did contribute a remix for Joyce Muniz on Exploited which got wide support. So it was kind of obvious we would ask him for an EP for Exploited Ghetto. ‘In Search Of The Perfect Sun’ is an epic journey. On the flip ‘This Is Love’ is straight and dark jacking house dancefloor business.